This article is by Lisa Quast, consultant for marketing, strategic planning and HR/talent development and a former “Fortune 500” executive turned career coach and award-winning author. Being a manager can be tough because it often includes stepping into situations that are outside your comfort zone, such as handling negative office gossip. Dealing directly and swiftly with the perpetrators, meeting with your staff and encouraging positive gossip (not the negative kind) can help turn things around. As a manager, it’s your job to ensure the department achieves all of its goals and objectives. This can be difficult to do if you’re stepping into a situation where workplace gossiping has been allowed to run rampant. The good news: Being new to your managerial role is the best time to get to the bottom of what’s going on and then put a stop to it. Tip #1 – Address the specific perpetrators. Your first action should be to stop negative gossip on a personal level by directly addressing the key gossipers one-on-one. Do this in a confidential location and not where others can overhear the discussion, such as a conference room with a door you can shut. Your goal is to help the person understand the impact of their behavior and the consequences of what will happen if their bad behavior continues (such as a written warning that will go into their personnel file, demotion, loss of job, etc.). Tip #2 – Meet with your entire team. After addressing the specific perpetrators individually, the next step is to discuss the situation with your entire team. This can be done by including “gossip” as a topic for discussion in a staff meeting and helping the team understand the differences between negative gossip and positive gossip and the ramifications of each. Then, work with your team to change the department culture to one that encourages positive gossip. Bottom Line: Allowing negative workplace gossip to flourish can lead to a culture of distrust and negatively impact productivity, morale, engagement and turnover – not to mention increase the company’s legal liability. 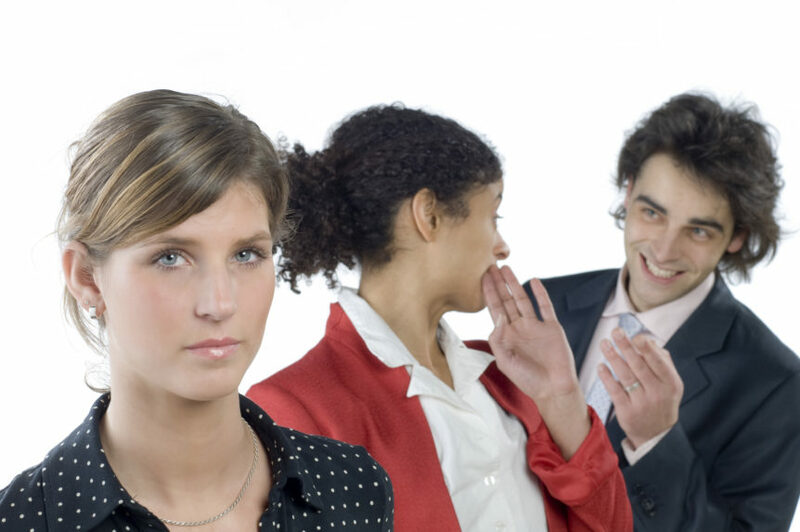 Managers should act quickly – unless stopped, pervasive negative gossip can be like a disease that spreads, wreaking havoc throughout a department (and even throughout a company).